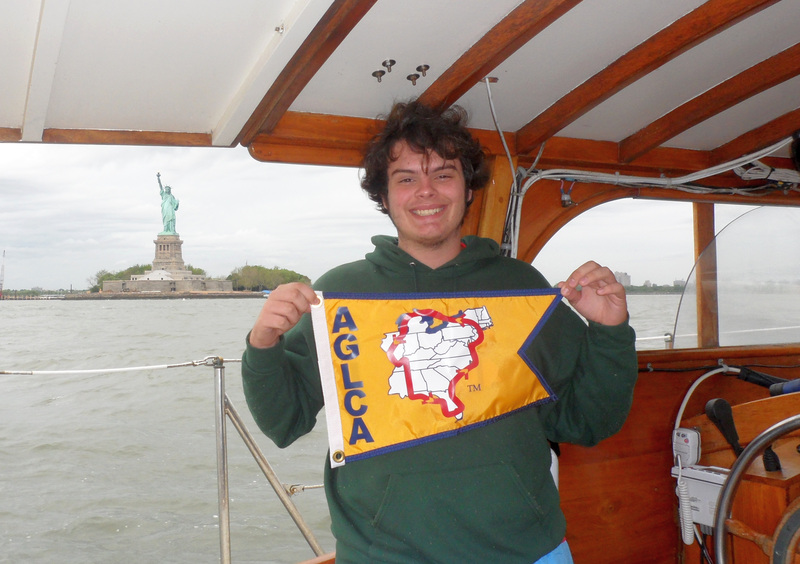 Short week due to the start of the boatbuilding season at the Connecticut River Museum and a talk for the America’s Great Loop Cruisers Association to about 60 people thinking about going on the Loop. This was my first slide, finishing the Loop with John at the Statue of Liberty after Memsahib’s one-year voyage. I described it as “The best day of my life…so far.” John is young and will surely have a better day. But if I never do, I am content. Molly and I also did our duty to the AGCLA with extra credit training for a group of seminar attendees on “docktails,” how to cram 12 people into a van meant for eight, and an uproarious dinner that left the other customers knowing that “Loopers” are not a new monastic sect. 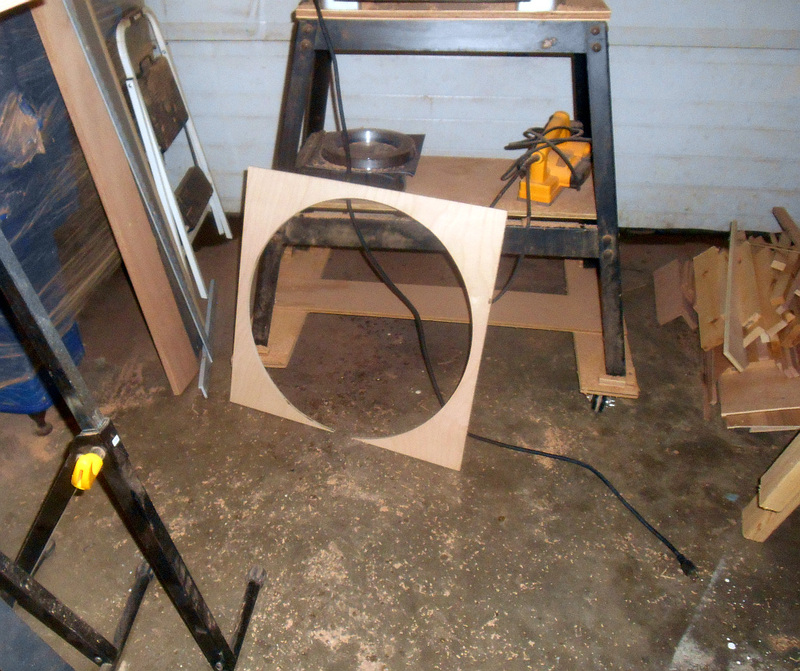 The interior is now as far as I can get it without building myself into a corner when it’s time to start the plumbing. 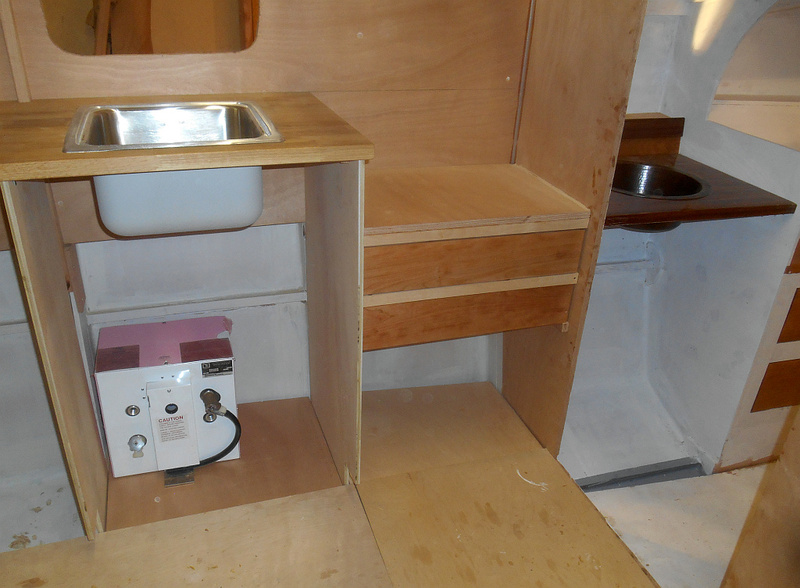 So I built and installed a couple small drawers for the galley and primed everything in the forecabin. 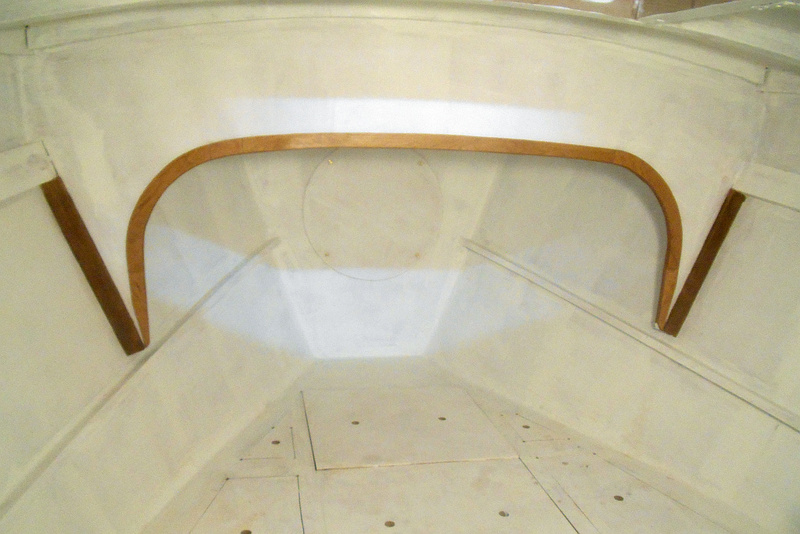 It looked so bare at that point that I went ahead and trimmed out the beautiful curve that Mark designed to separate the cabin area from the foredeck. 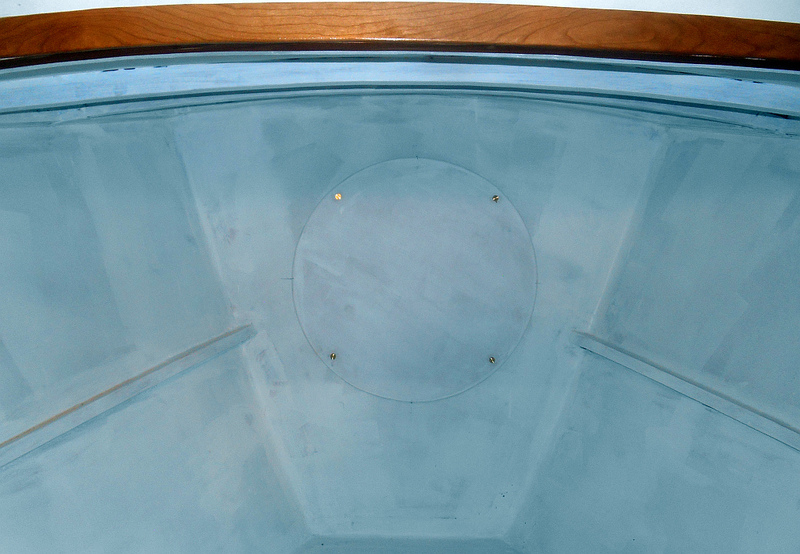 Also, the gaping hole into the anchor locker is now closed with a round panel secured with some beautiful knurled screws and threaded inserts that will make it easy to remove when necessary. 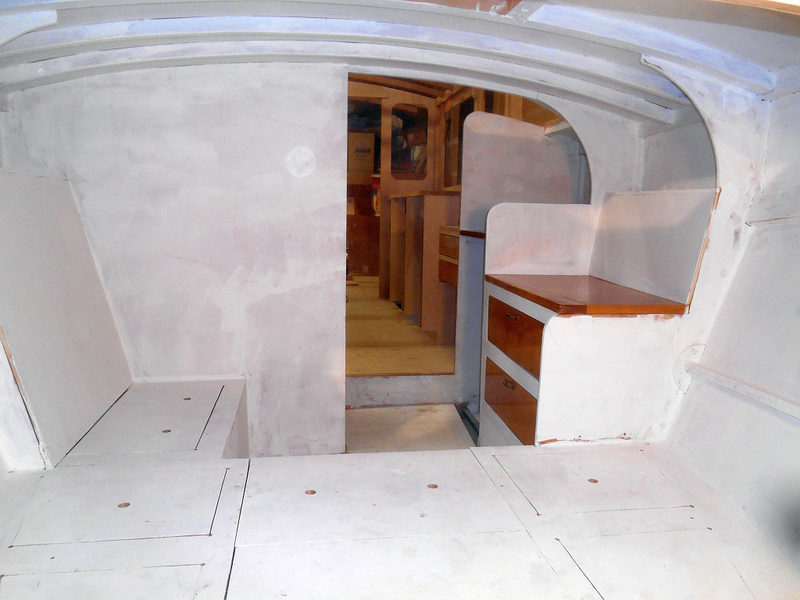 Than back to the hull, completing filling, fairing and primer for the foredeck and fore cabin roof. Galley drawers for cutlery and utensils. Fore cabin looking aft from anchor well. Anchor locker cover. Camera turned everything blue for some reason. Circle maker. 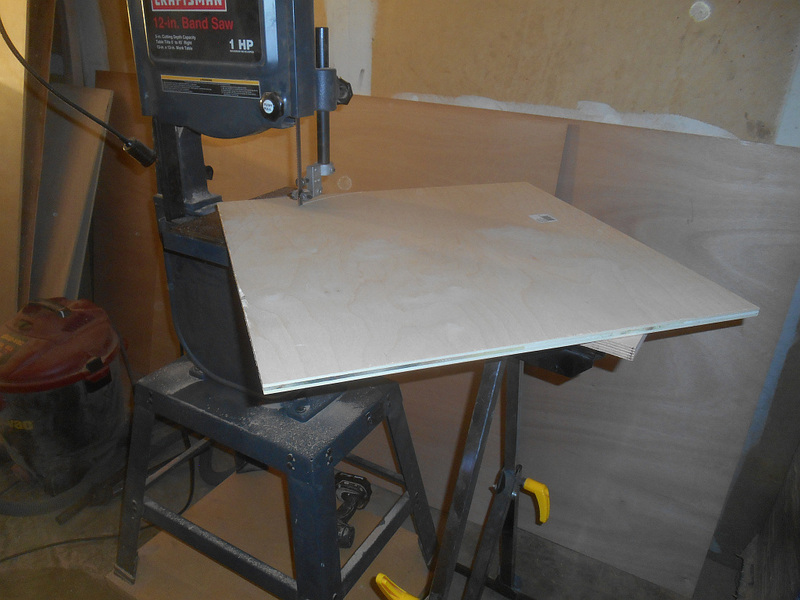 Use a dowel to put a pivot at the radius you want and spin the blank around against the blade. 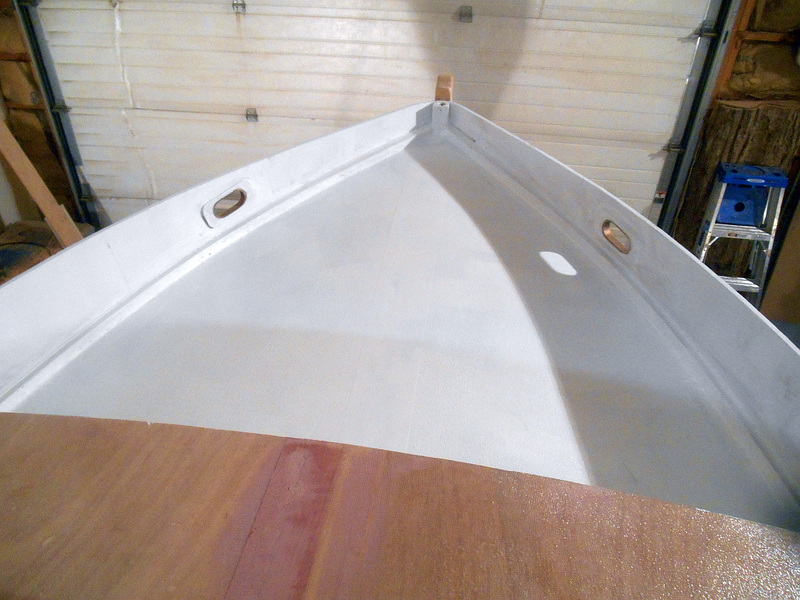 Foredeck primed and looking pretty snappy.